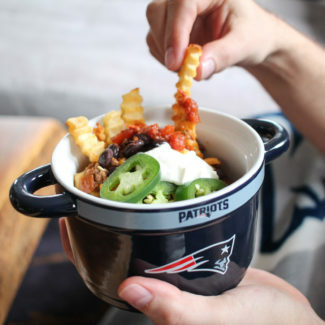 Football has never been my favorite, but I am a huge fan of football foods. 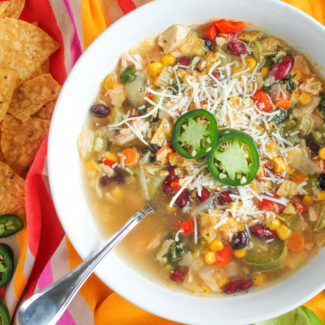 With the big game just around the corner, I am sharing a guide of what to make on Super Bowl Sunday. 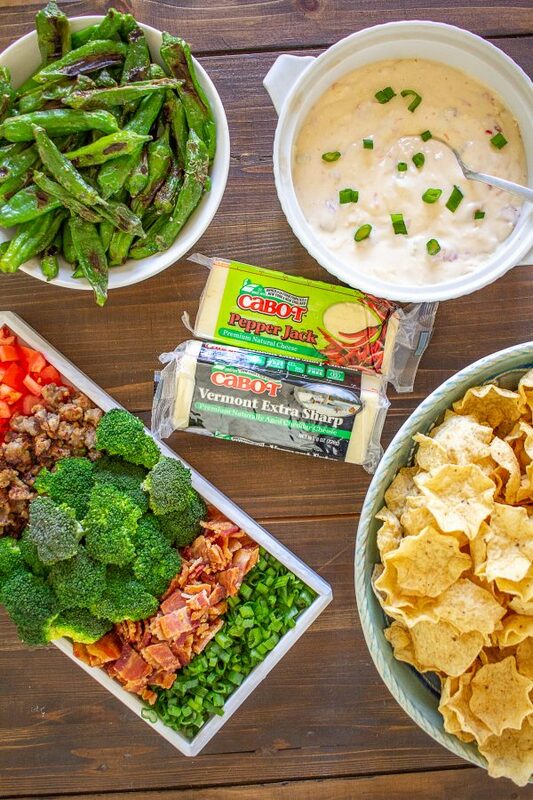 These 12 easy to prepare recipes for snacks and mains will help make your Super Bowl party a success! 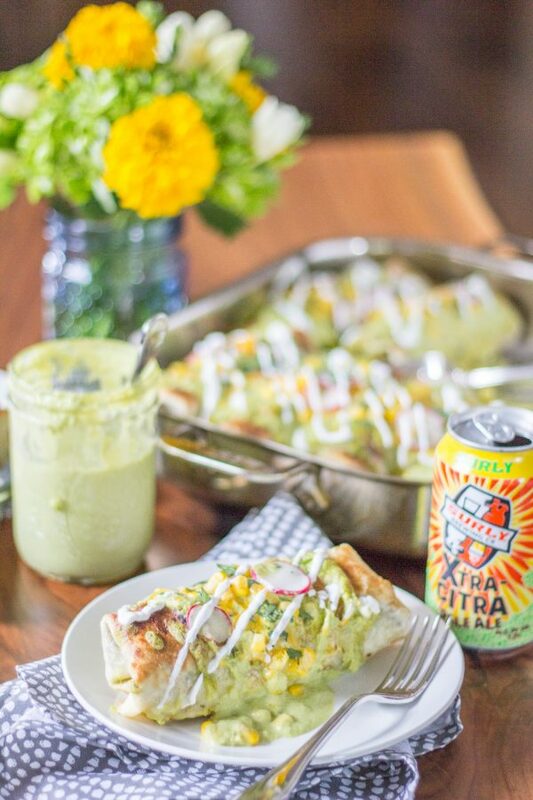 Queso – A queso bar with homemade queso is so fun and easy to make. 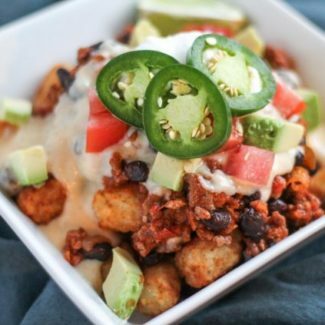 Serve the queso alongside Super Bowl staples like tacos, chili, tortilla chips, and tater tots. 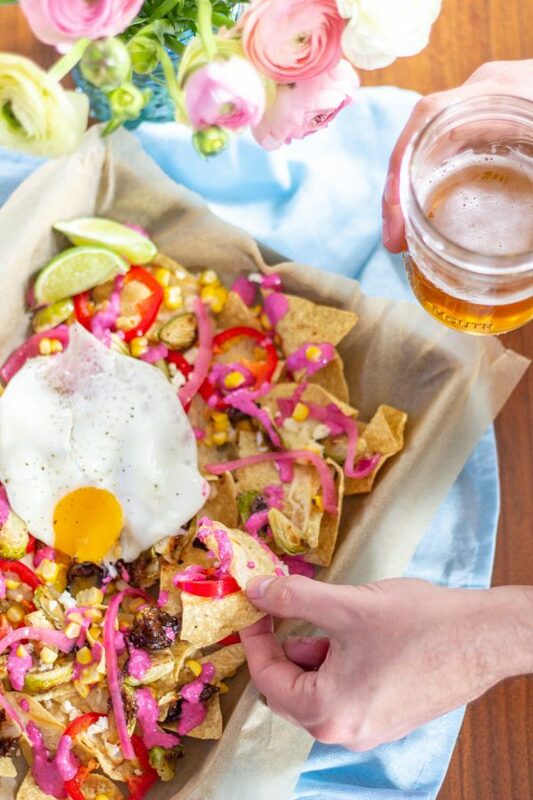 Brussels Sprout Nachos – Inspire by my favorite meal in Scottsdale, these nachos are topped with roasted beet crema, cheese sauce, roasted brussel sprouts, fresno chilis, and pickled onions. 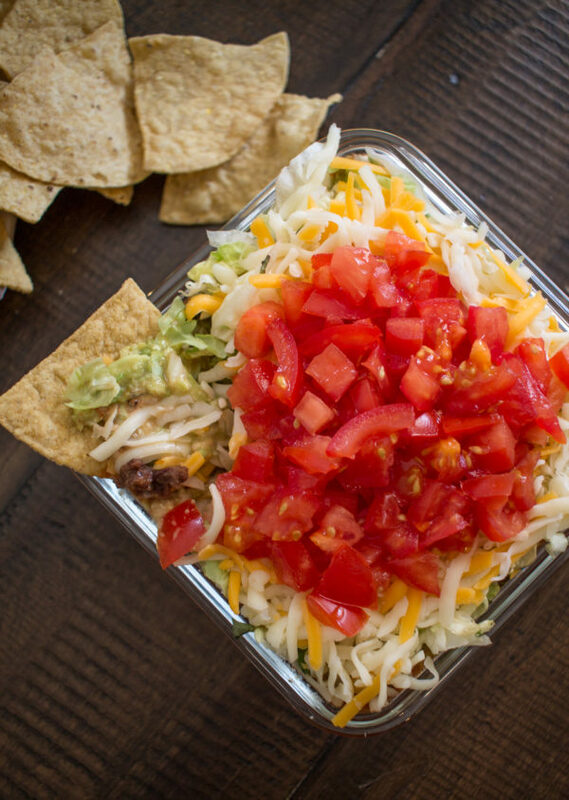 7 Layer Taco Dip – Easy and crowd pleasing, this will be the first dip your friends finish. 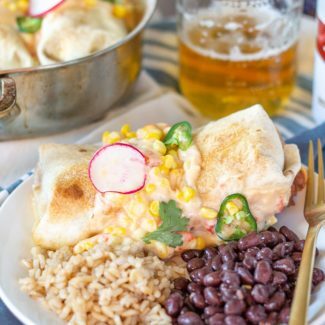 Buffalo Chicken Dip – Can you even have a Super Bowl party without 7 Layer Taco Dip and Buffalo Chicken Dip? I doubt it. 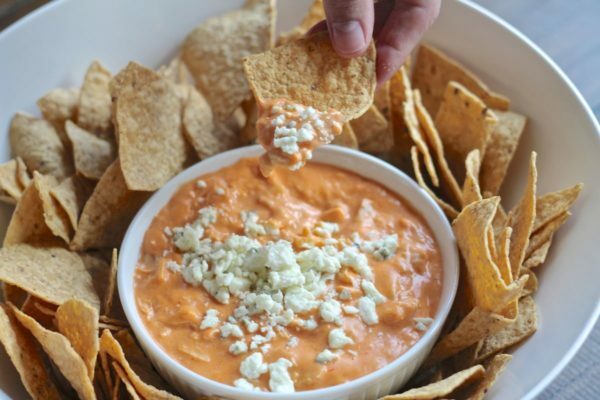 This cheesy dip is loaded with spicy buffalo chicken, and I can’t stop eating it. 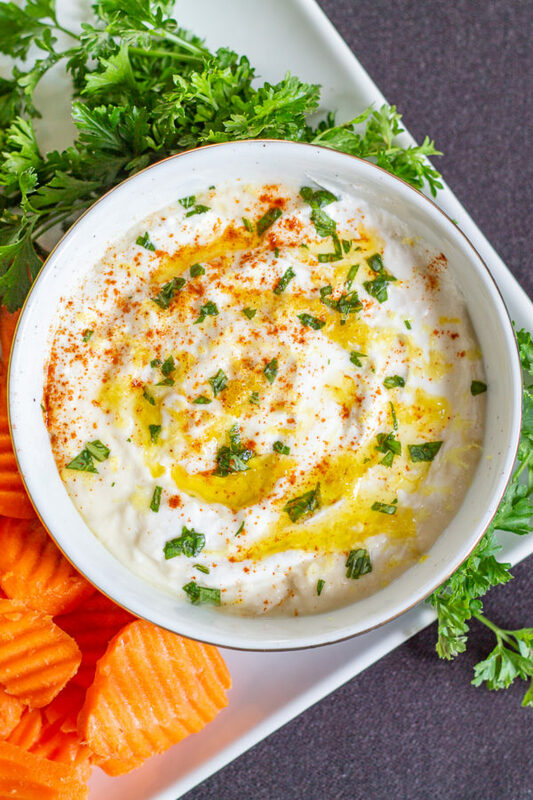 Butter Bean Hummus – A light fresh hummus that is super easy to make in just 5 minutes. 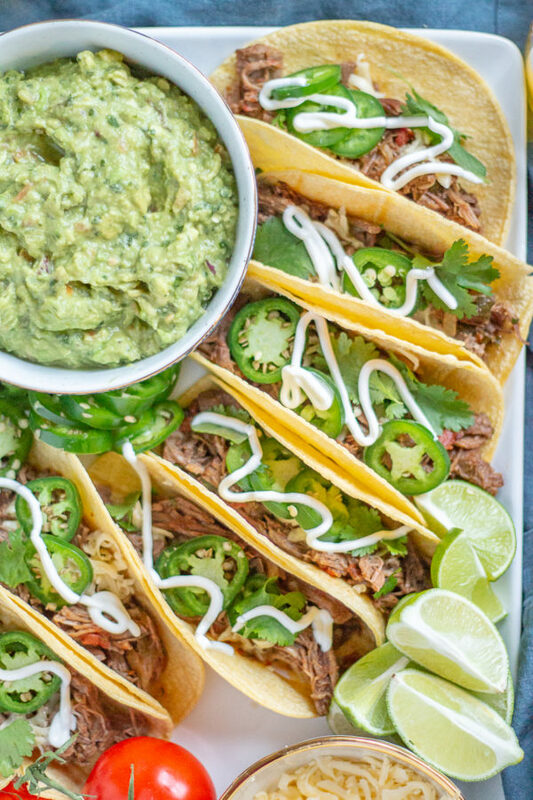 Shredded Beef Tacos – This shredded beef is made in a slow cooker, and it is really easy to make a big batch for a party. 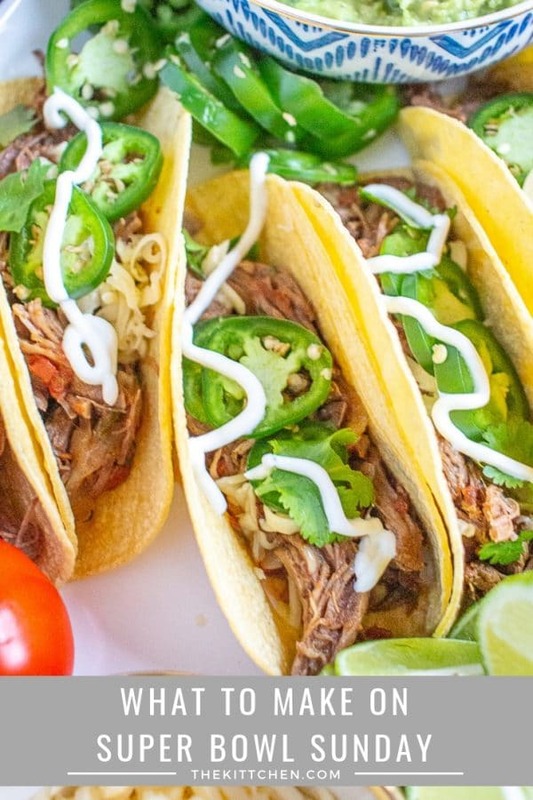 The beef is tender, slightly spicy, and easy to shred after slow cooking it for 6 hours. 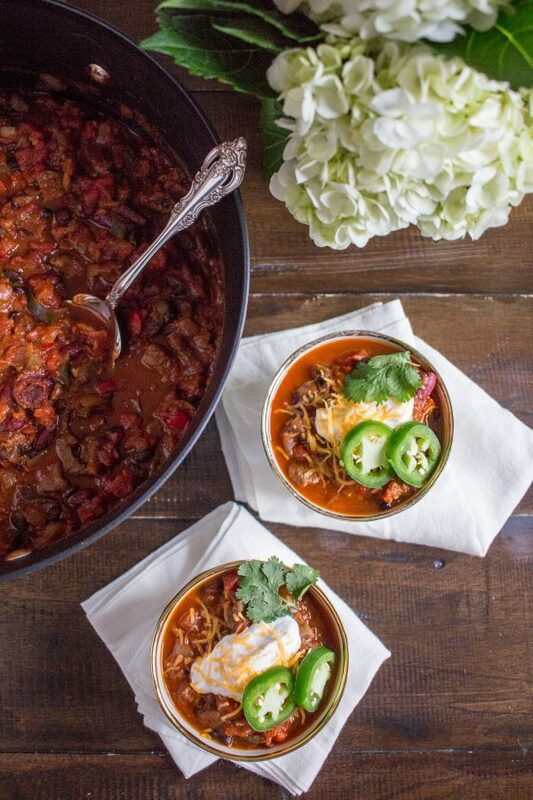 Steak Chili – Loaded with tender chunks of beef, bell peppers, onion, garlic, black beans, kidney beans, and tomatoes this is a healthier Super Bowl food option. 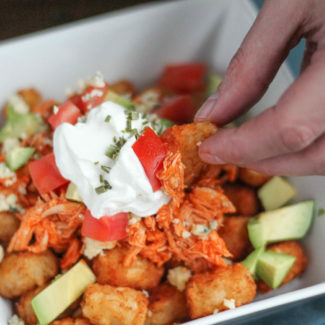 Or… you can be a bit more indulgent and add cheese, sour cream, and other toppings. 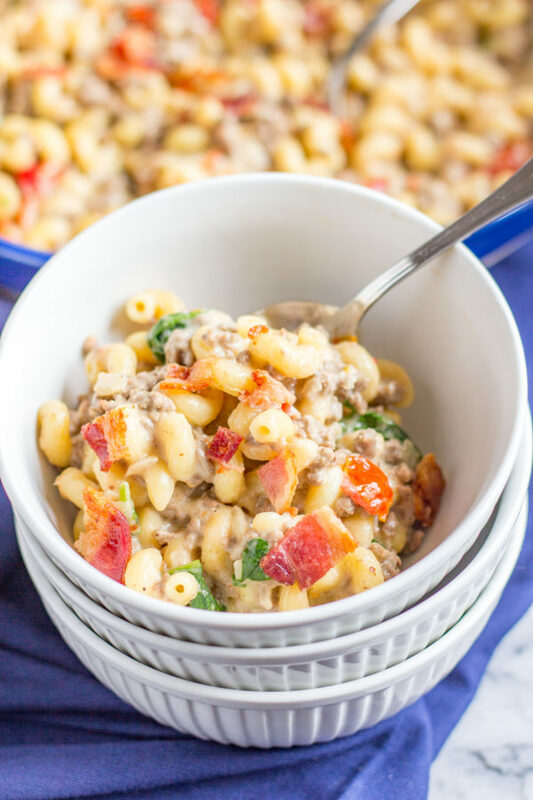 Bacon Cheeseburger Mac and Cheese – This incredible macaroni and cheese recipe combines that tastes of two of America’s most iconic foods: cheeseburgers and macaroni and cheese. And it incorporates bacon too! 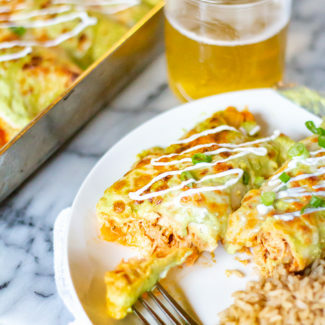 Chicken Chimichangas with Poblano Cream Sauce – Store-bought rotisserie chicken gets shredded up and rolled up in tortillas with rice, beans, and sautéed onions, baked, and then covered in a spicy smoky poblano cream sauce. 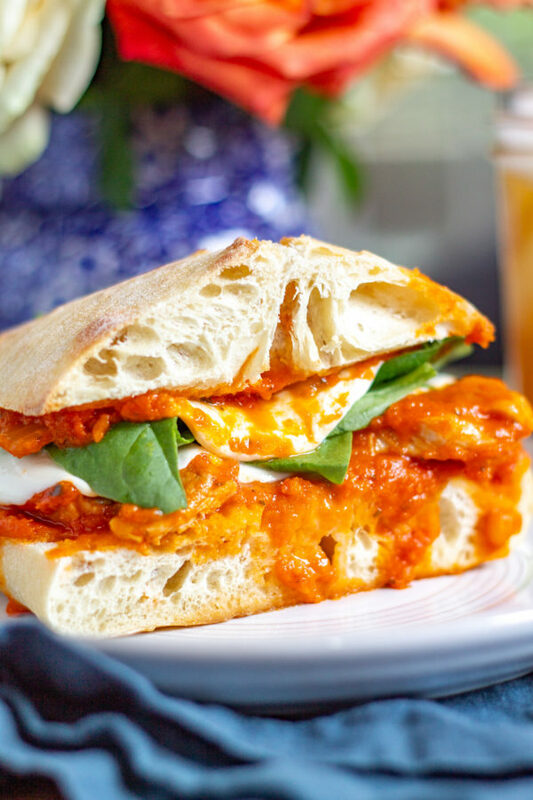 Pork and Mozzarella Sandwiches – These sandwiches are made with pork that is slow cooked in tomato sauce, which made the pork incredibly flavorful and tender. 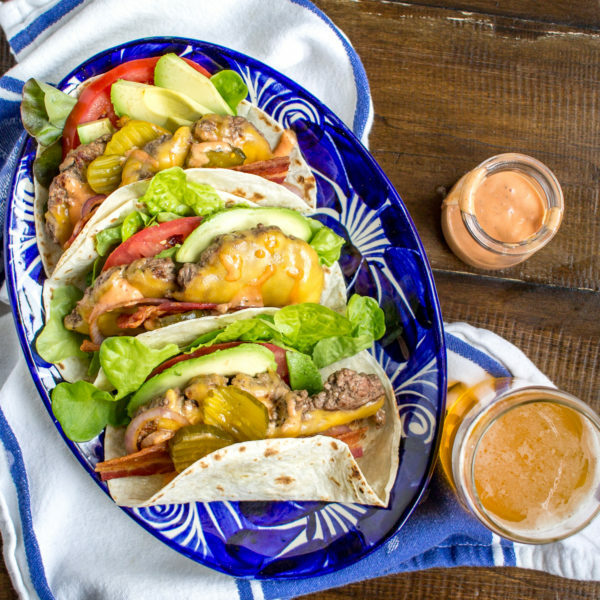 Bacon Cheeseburger Tacos – Perhaps one of the most delicious food mashups out there, these cheeseburgers are served in tortillas and are topped with bacon, animal sauce, lettuce, tomatoes, avocado, and pickles. 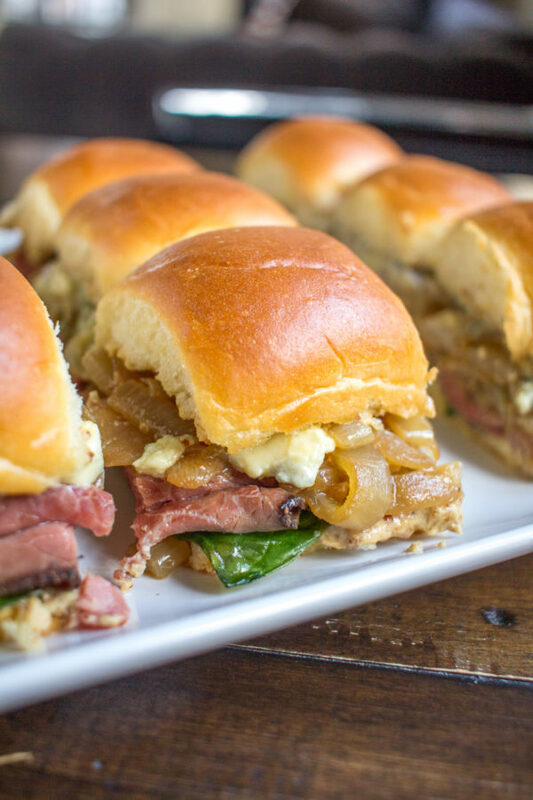 Roast Beef Sandwich Sliders – The combination of caramelized onions, blue cheese, spinach, and mustard loads these roast beef sliders with flavor. These sliders are easy to make in a big batch, so they are perfect party food.